We all know that balanced nutrition and regular exercise are the key to living a long, healthy life, but as many of us have concluded over the years, that's far easier said than done. As the burgeoning list of secondhand gym memberships for sale on sites such as Yad2 and Homeless attest, many of us make resolutions we find hard to keep later on. 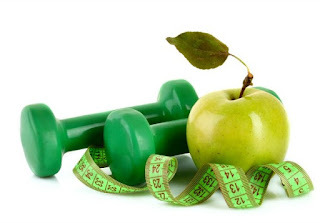 While nothing will ever replace willpower and perseverance in the struggle for good health, there are several tools online which can make the task both easier and cheaper for you - some even free. One less thing to worry about, in this case money, can do wonders for your resolve! Mind you, if you're looking for used (and thus cheaper) home exercise equipment such as yoga mats, free weights, or home gym sets, the sites mentioned above are a great place to start looking. So is, occasionally, Agora. But if you're committed to working out in a gym after all, the next couple of sites I'll be mentioning will help you to stick to that resolution. Pact is an app/website where you commit to exercising in a gym a specific number of times a week and pledge a penalty in case you fail. If you manage to reach your goal for that week, you can earn on the scale of $0.3-5; if you don't, your money will go to those who persevered. I wouldn't count on getting rich from this even if you manage to meet all your weekly exercise goals, but an incentive is always nice to get, right? The app uses GPS to determine if you've actually gone to the gym and works all over the world. You can also make a similar commitment to eat more vegetables or to list your meals online on the MyFitnessPal website/app. If you like working out in a gym, but don't want to commit, you might want to inquire if you can purchase a Freefit card through your place of work or a consumers' group you may belong to (I saw that government employees can get it through Tov, and engineers and technicians through Hot if they have its Isracard). You get a charge card with a balance of NIS 400 to use at any gym on their plan, at reduced rates (there's a list on the Freefit website), without having to commit to one particular place. When you go to the gym, you swipe the card to record and pay for your visit. This way you get variety, and it's cheaper as well. Even if your preferred choice of exercise doesn't involve going to the gym but rather exercising at home or going outside, you have plenty of options how to keep costs down. In fact, your best resource is entirely free (well, at the cost of an Internet connection, but you have that anyway): Search Youtube for just about any type of home exercise you can think of, and you'll find a plethora of full-length videos. You could probably never repeat a workout if you chose to. So much for spending out on pricey exercise videos which get old fast! If pounding the pavements is your preferred exercise, there's a good chance you've already heard of Runkeeper. This popular app tracks your walks, runs or biking routes, gives you information as to speed,calories burned, and you can also track other sorts of workouts for a full exercise log. While you're moving, you can listen to music provided by the app (it connects with your playlist). It can even suggest new routes with sights to see if you're in another city. A simpler app I use by proxy (my husband has it on his phone and uses it when we walk in the evenings) is MapMyWalk. It gives you your route and speed, which is all we need at our stage of fitness (lousy, thanks for asking ;) ). Endomondo is another popular app which tracks your progression through your fitness plan, and helps you with the specifics of workouts, etc. so you can reach your fitness goals. It'll even cheer you while you're exercising. We all know that exercise is only one side of the weight loss coin. If your goal is to lose weight, or just learn healthier eating habits, there are several sites which will help you achieve this goal. Research has shown that people who write down everything they eat lose and maintain weight better than those who don't, so whether you're counting calories or carb grams, or just want to be able to track your food intake and exercise energy output, it's worth becoming familiar with a site that helps you figure it out . My personal favorite, which I've used for years (on and off, admittedly more off than on) is Fitday, but I also like Sparkpeople, with its great articles, success stories, exercise videos and sense of community in its forums. Some of my friends are happy using MyFitnessPal, which as mentioned earlier, also interfaces with Runkeeper. Bottom line: whatever fitness path you choose to take, you can now do it for a lot cheaper. Viva la Internet!